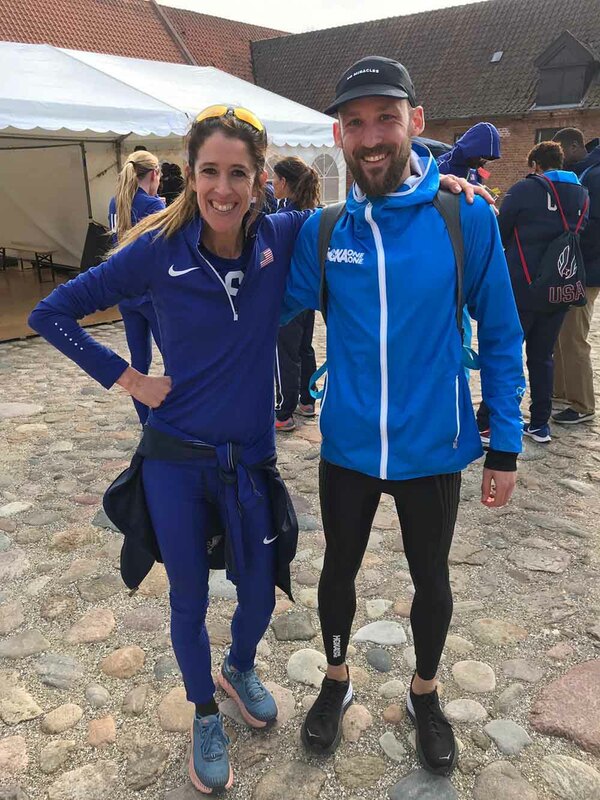 One week on and HOKA ONE ONE athletes, Jenny Nesbitt and Adam Hickey, are still very much feeling the effects of one of the most “brutal” cross country races they have both ever competed in. Described by some as the “greatest footrace in the world”, the World Cross Country Championship is a biennial event that gathers the best distance runners in the world. It’s an occasion steeped in history and occupies a unique place in the hearts and minds of grassroots fans and distance runners. And the race in Aarhus, Denmark exactly one week ago certainly lived up to the billing. Much of the talk in the lead up to the race was about the course. The two-kilometre loop, completed five times by both the senior men and women, featured a cheering tent, ‘Viking Zone’, sand pit and rooftop running. It was innovative and different. It was also “extremely undulating” according to Adam, and started with a 400m hill. Paths covered in sand sapped energy from tired legs. Long climbs and steep descents hammered the legs and exhausted the mind. There was little respite. “The biggest takeaway from the whole experience is, without a doubt, the pain in my legs,” laughs Adam, who goes on to describe the Clifton 5 as a “godsend” in his recovery runs since. “I didn’t really appreciate just how steep the hill up to the roof of the museum was or just how relentless the course would be,” says Jenny, who raced in the Evo XC Spike and finished 34th overall. She was also part of the Great Britain team who finished a creditable fourth. 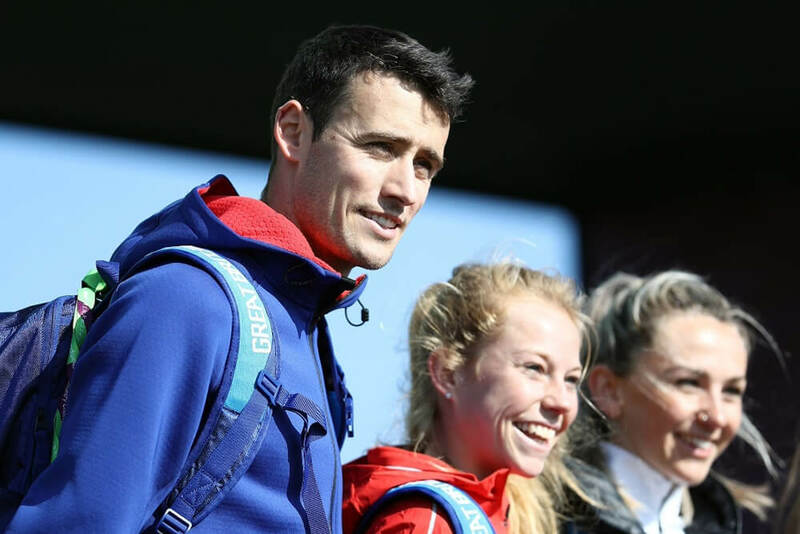 Both Jenny and Adam earned the chance to test themselves against some of the very best distance runners in the world by winning the UK trial event last month. It was Jenny’s first time at the World Cross Country Championships. For 30-year-old Adam, it was his fourth appearance, having competed as a junior between 2005 and 2007. The road to his first senior outing, though, didn’t run smoothly. 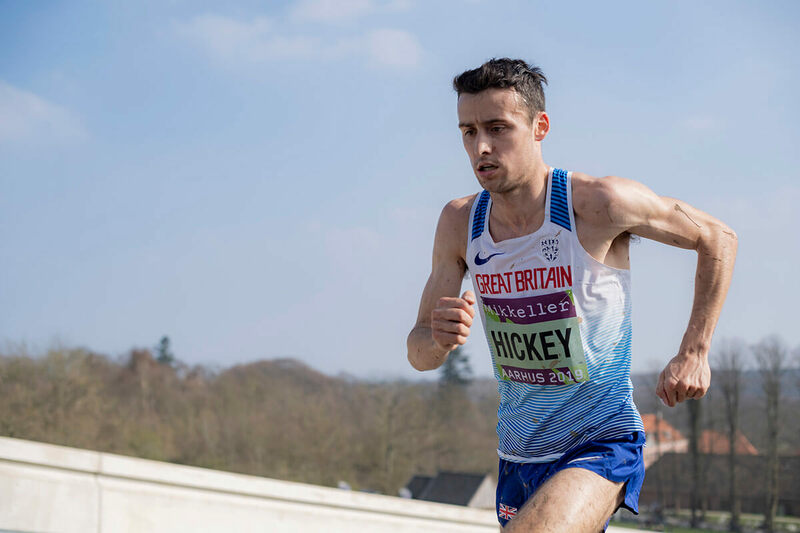 Starting almost from scratch at the beginning of January after an ankle injury last autumn, Adam has gone from local county champion to 51st in the world in just twelve weeks. With the race more an ambition than an expectation at the start of the year, the firefighter and father-of-two cut short a family holiday with his wife Katie, two young sons Leo and Beau, and his parents to join up with the Great Britain team in Denmark last Friday. For the first time at the World Cross Country Championships, club runners also had the opportunity to run alongside their heroes and be part of the event. One of those was HOKA ONE ONE field support representative, Joe Wade. Joe (pictured below with HOKA NAZ Elite athlete Steph Bruce) was gifted a sub-elite place in the main race as a 30th birthday present from his twin brother, Tom. So, how does Joe’s World Cross Country Championship experience compare to Jenny and Adam? “Pure fun!” he enthuses. “Running in such a high-profile race without any pressure, rubbing shoulders with that calibre of athlete, was unforgettable. “The course was something special, and the involvement of Mikkeller brought a real party feel to the whole thing.